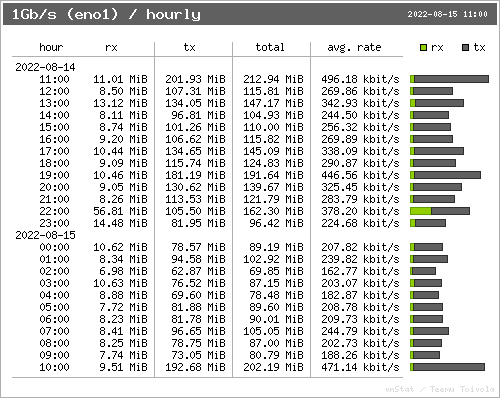 This page shows the network usage of my web server. The graphs are updated every 15 minutes. Hold ‘Ctrl’ and press ‘F5’ in most browsers to do a hard refresh.